OCEAN VIEW APART. *GATED* , WALKING DISTANCE TO THE BEACH AND WYNDHAM HOTEL!!! Oceanview 2BR 1BA Fully Furnished Unit, Sleeps 4 Privately, 6 max. Bottom half of hill top residence, provides breathtaking views of surrounding hills, golf courses, lakes and, of course, the deep blue ocean. Beautiful balcony with patio furniture. Large bedrooms with wall to wall mirrored-door closets. Access to Pool, Beach, and Tennis Courts. Please see the owners web site. The link is located at the bottom of this page. Electricity included on short term rentals. 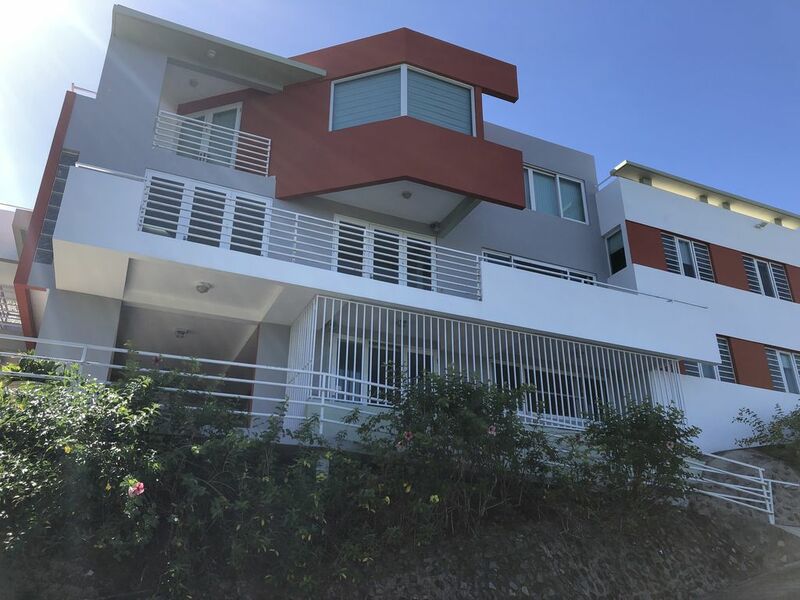 This property is 35 minutes away from the San Juan Air Port. The apartment is very comfortable with 2 twin beds and 1 Queen size bed. Folding beds or air mattress upon request. The apartment is private with a big security gate, with free parking area. It's completely equip, SPACOUS KITCHEN. You don't need linen or cooking utensils. Apartment also, has 2 TV's, 2 Blue Ray players, table games, dominos, Internet WI-FI, ocean view balcony, BBQ, A/C throughout the apartment and inside laundry. We have high chair, toys and play pan for children. You will have access to a Pool, Tennis Court and the beach. We are between 3 hotels (Gran Melia, Wyndham Rio Mar Hotel which is across the street and El Conquistador, minutes from each other). You can take the ferry to Culebras and Vieques Island approx. 25 minutes away, Beautiful Luquillo beach is 7 minutes away and the famous rain forest (El Yunque) is approx. 10 minutes away. Hacienda Carabali a place for horse riding, go cars, four wheelers and restaurant is 5 minutes away. Best of all, we are across the street from Wyndham Rio Mar Hotel and Casino. The kitchen is fully equipped with grill and another small oven. Also, out side BBQ. We have board and table games. TV w/ Blue-Ray DVD player, and stereo. We Have 2 cable PlasmaTV's, in the Living Room area and in 1 of the bedroom. Rio Mar is home to not one, but two world-class golf courses! We have fabulous beaches, resorts and casinos. Nearby attractions include El Yunque Caribbean National Forest, which is about 15 minutes away. This tropical rain forest ecosystem abounds with streams and waterfalls, exotic plants, flowers and trees, birds and animals. Follow the hiking trails for breathtaking, spectacular views of this beautiful place. Horseback riding excursions are available along the National Forest or area beaches. The city of Fajardo is a few miles East of Rio Mar. There you can catch ferries to Culebra and Vieques islands, enjoy catamaran snorkeling trips, deep-sea fishing charters and tours to Bioluminescent Bay. You must visit Old San Juan, where you will find centuries-old churches, buildings, monuments, and fortresses from the Spanish Colonial era. There you can also enjoy shopping and dining, in addition to various museums and art galleries.